Bohemia Crystal is a well-known export of the Czech Republic. 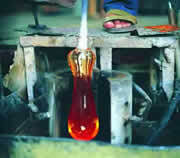 Visitors can tour a glass factory to see it being made, or simply purchase glass products at one of the glass shops in Prague. Czech glass is of excellent quality and much of it is hand-made. 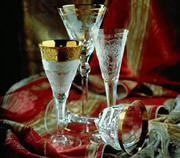 Bohemia Crystal glassware contains 24% pbo (lead gives the glass a crystalline sparkle). The unique design in crystal artwork and superior product created from this magnificent glass have made it popular around the world. As well as traditional glass products, new, modern designs are developed by the factories and workshops to ensure Czech crystal maintains its appeal. 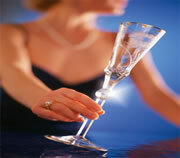 Hand cut crystal appears in many forms, including vases, wine and Champagne glasses, plates, fruit bowls and decanters. These beautiful items make excellent gifts. Glass, it is believed, brings peace and coziness to a home. A look through glass should even concentrate people’s minds. Czech crystal dates back to the renaissance period, and the people's desire for antique cut stones. At the beginning of the 17th century the first Italian and German cutters (Lehmann, Misseriono brothers and others) came to the court of King Rudolf II and began to cut the natural crystal found throughout the Czech Republic. This they called "mountain crystal". Next, in 1683, Michael Muller, production manager in Janouskova glassworks near Vimperk, discovered chalk glass similar to the natural crystal and most Bohemian glass factories decided to use this instead. By the beginning of the 18th century, Bohemian Glass had a strong control over world markets. Business centres called ” Bohemian houses” were in the 12 biggest European cities, 38 European ports and outside of Europe, in Baltimore, Beirut, Cairo, Mexico, New York and Smyrna. You could say that the houses were the first department stores of their age. All attempts by other countries to imitate original Bohemia Crystal were unsuccessful until the beginning of the 19th century, when the demand for traditional Bohemia Crystal crashed; a new type of glass had been discovered - English lead crystal. Only a few Bohemian glassworks stayed afloat, the rest were soon bankrupt. The new English glass could be melted at lower temperatures, engraved and cut easier. Therefore its price was much lower. Czech glassmakers simply did not respond fast enough to the market demand for lead crystal. The outlook was bleak for Czech glassmakers until the second half of the 19th century, when they decided to fight back. Focusing on their strengths, they re-established the glory of handmade and hand cut Bohemian lead crystal. The new initiative was a great success and the crystal still keeps its unique appearance today. No other glass could, and can, offer the same look. Moser Glass and Erpet Bohemia Crystal. 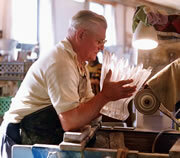 To learn more about Czech glass-making, visitors can take a tour to Karlovy Vary and the Moser Glassworks.